MAIRIA CAHILL, A victim of abuse in the republican movement and outspoken critic of Sinn Féin and Gerry Adams, has been elected to the Seanad this afternoon. The Labour Party candidate easily won the by-election for the vacant seat on the Seanad’s Industrial and Commercial Panel following the retirement of Jimmy Harte. I am delighted and very proud to be here today to serve in this wonderful place. Cahill said she had dealt with issues related to her past involvement with an organisation linked to dissident republicanism and was now looking to the future where she wanted to bring “empowerment” to young people. The campaign that has been waged against her on a continuous basis does absolutely no service to political discussion and democracy in this country and the kind of online warriors who have carried out an absolutely unprecedented campaign of vilification, I think some of them should pause to consider what the impact of that may be. Only TDs and Senators could vote in the second Seanad by-election of this current Oireachtas term. Cahill was elected on the first count with 122 first preference votes, exceeding the quota of 95 and finishing well ahead of Fianna Fáil’s Keith Swanick, Sinn Féin’s Sinead Burke and independent candidate Jerry Beades. In total 208 out of 225 ballots were returned, but nine of these were ruled invalid due to non-certification of identity or incomplete certification of identity. A further 11 ballot papers were ruled invalid due to the way they had been completed. Cahill’s election to the upper house follows days of controversy about her refusal to answer questions regarding her past links to an organisation opposed to the PSNI and the Good Friday Agreement. Cahill was briefly a member the Republican Network for Unity (RNU) in 2010 and served as its national secretary for just a few hours before resigning from the role. Yesterday she apologised for her involvement with the organisation. I am the first person to say it was the wrong thing to do, I regret it deeply and I am deeply sorry for it. I think we have a lot of politicians up and down this country, and indeed a lot of people throughout this country, that wish they had have done things better with their lives and wish they hadn’t made mistakes and I think that’s fair enough. 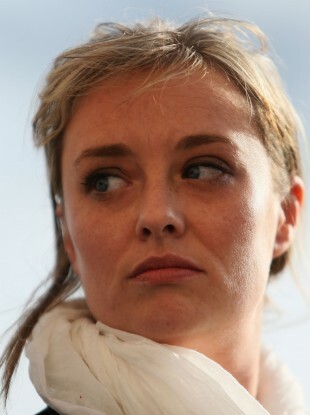 Email “Joan Burton lashes 'online warriors' as Mairia Cahill becomes a Labour senator”. Feedback on “Joan Burton lashes 'online warriors' as Mairia Cahill becomes a Labour senator”.